Employee Spotlight: Rich Tabeling | Lubrizol Advanced Materials, Inc.
Rich Tabeling has proudly served the Lubrizol community as territory manager, CPVC piping systems for two-and-a-half years, but he’s no newcomer to the plumbing, piping and fittings industry. His two decades of experience include roles of district, regional and national sales manager for a company that sells water distribution products such as hydrants, valves, fire protection accessories and tools. That knowledge serves him well at Lubrizol handling FlowGuard Gold® Plumbing Systems, Corzan® Piping Systems and Blazemaster® Fire Protection Systems. For Tabeling, the people are the reason he loves coming to work each day. He appreciates the flexibility of the CPVC piping system team and how receptive the team is to change. “Everyone’s commitment to doing the right thing for our customers has made me proud to be a part of this organization,” he said. 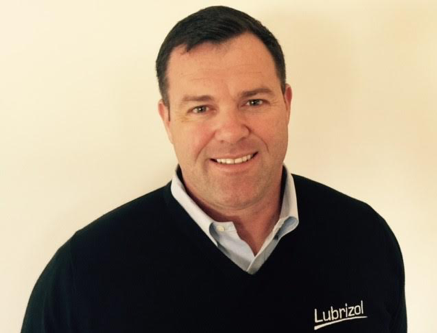 Tabeling has accomplished a lot during his time with the Lubrizol, but his most memorable moments have come from working with customers and the sales team to remind them of Lubrizol’s value and key benefits. He often stresses the reliability and performance of the products, as well as with Lubrizol overall. When asked what sets Lubrizol apart from its competitors, Tabeling immediately stated, “Lubrizol’s commitment to the industry.” He thinks that FlowGuard Gold, Corzan and Blazemaster CPVC speak for themselves through the simple fact that they have been in use for nearly 60 years and have outperformed several competitors that have come and gone. Tabeling loves the outdoors, so when he isn’t hard at work as a territory manager, you can usually find him spending time with his family, hiking, camping or boating.